We opened up the first cheese last night. A gouda. Not quite two months old. It tastes like cheese, and although it's not quite like gouda, it's surprisingly yummy. It's soft and creamy still in the center, which makes it hard to plane for sandwiches. If I'd left it to age for another month or so, perhaps that would be different. 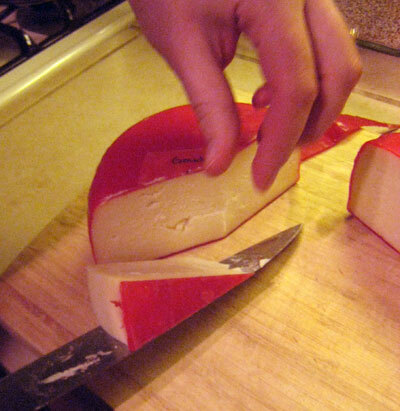 Congrats on making your own Gouda! !